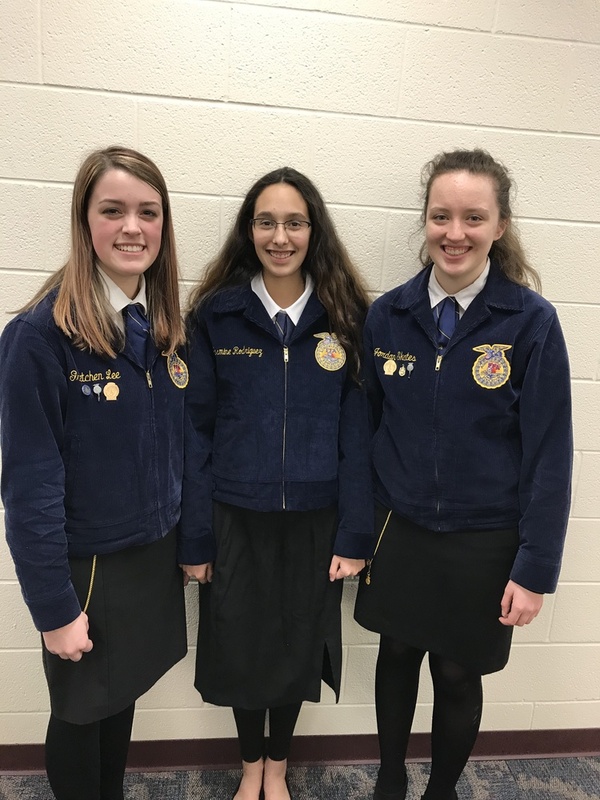 On January 28th at Archbold High School three Pettisville FFA members competed in the subdistrict public speaking contest. Placing first in the adVanced prepared contest was Gretchen Lee. Placing 1st in the extemporaneous contest was Jordan Skates. And placing 5th in the Creed contest with Jasmine Rodriguez. The top two in the contest advance to district competition next Thursday February 8th.